Kimmons Roofing has received the quality distinction given to the top contractors, “Master Contractor Award”. This achievement has placed Kimmons Roofing in the top 23% of Duro-Last contractors, consistently installing the highest quality roofing systems in 2017. 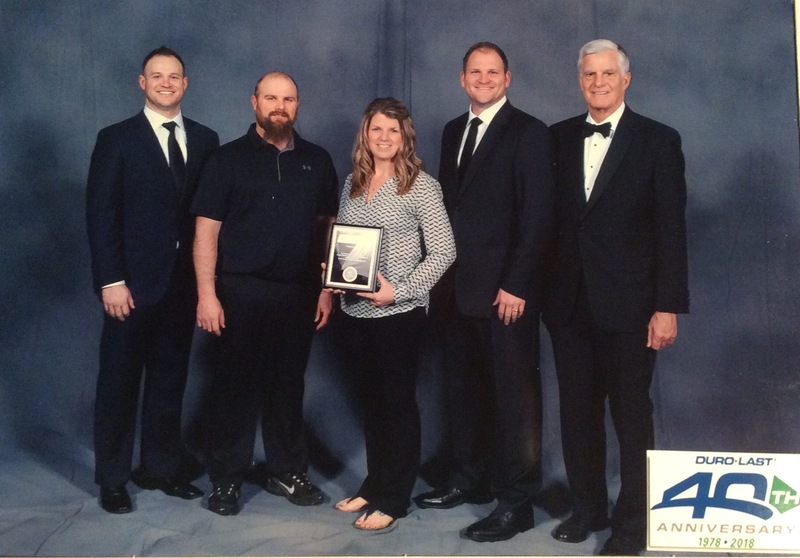 Kimmons Roofing scored in the outstanding category with an average score of 99%. This has been achieved by commitment to quality, dedication to detail, and hard work. Kimmons Roofing is truely honored to receive this award and honored to have a great crew, Eric and Aaron, who value quality as much as we do.